At Spectrum Industries, we believe that making a quality product matters to our customers. Having products that will outlast their users and are adaptable enough to be reused through multiple technology deployments, is what drives our innovation and desire to constantly strive to surpass our customers' expectations. Simply put, Spectrum furniture is made to last and perform for years. 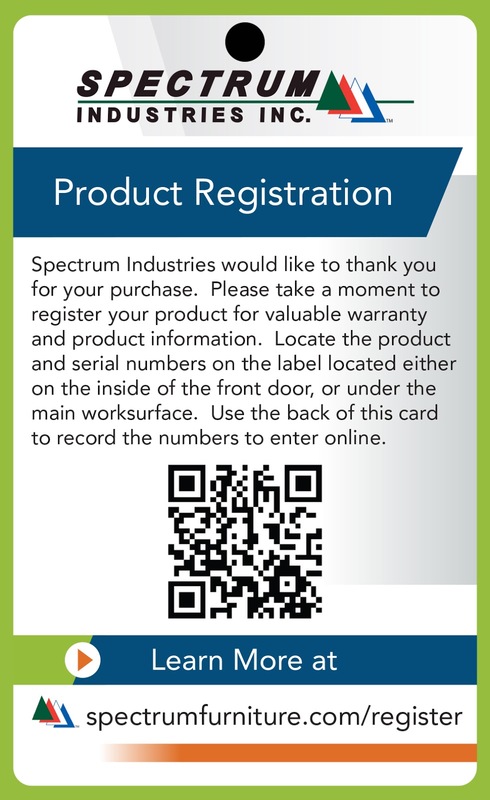 As part of this commitment to our customers, Spectrum has launched a new Product Registration program. Customers will find a Product Registration tag on new shipments (as shown on the left). Lightning Fast Service: Get the fastest possible turn-around in the case of warranty claims. 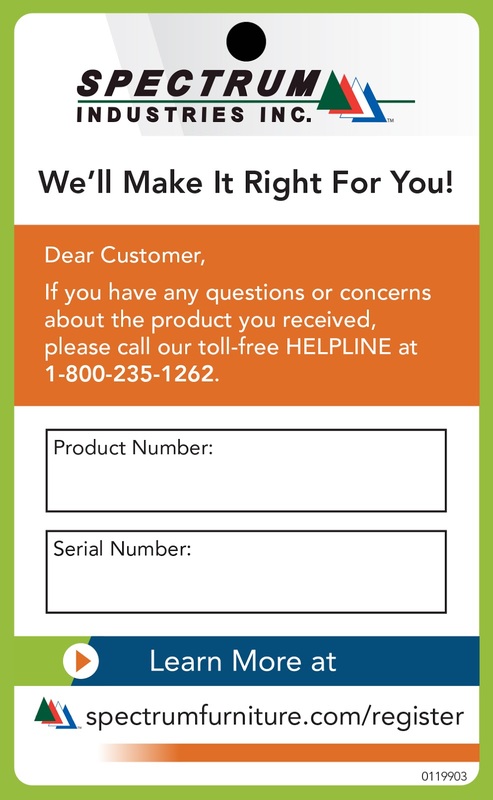 Product Notifications: We can contact you directly with product notifications and safety information. Better Products: Your comments help us in our constant drive to improve existing products and develop new ones. Keeping you in the loop: Once registered, you’ll get periodic updates on new products, programs, and contests.